For those of you who didn't see their presentation at the ICDL annual conference, we'd like to introduce an exciting project that applies DIR principles in a fresh and exciting way. Critical Core is a tabletop role-playing game for kids, tweens and teens, but it’s more than just a game. Even though it’s filled with dragons, magic, and mystery, it’s a social skills enrichment program designed to build functional-emotional capacities and real-world skills. Guided by a parent or therapist, players enter into a living story: becoming heroes, working together to overcome obstacles, and most importantly exploring new ideas in a safe and fun environment. Co-developed by Virginia Spielmann and supported by ICDL, Critical Core has been in development for two years and is infused with DIR principles. 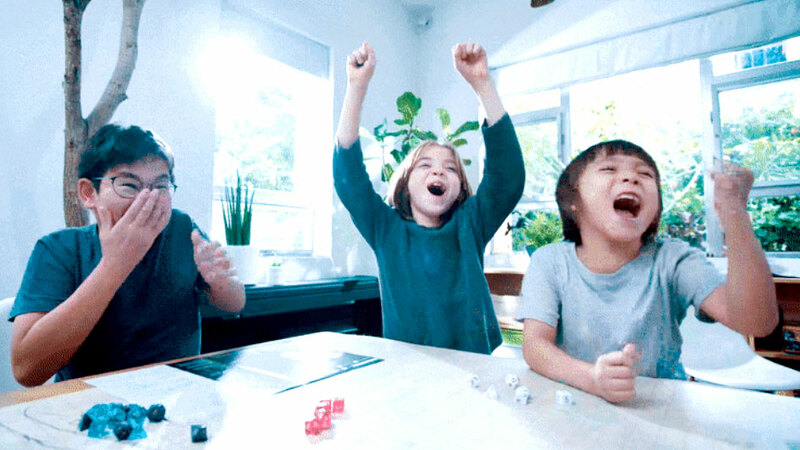 'Game to Grow', a Seattle-based non-profit organization and custodians of the project, have been actively using tabletop gaming as a therapy tool for the past seven years. 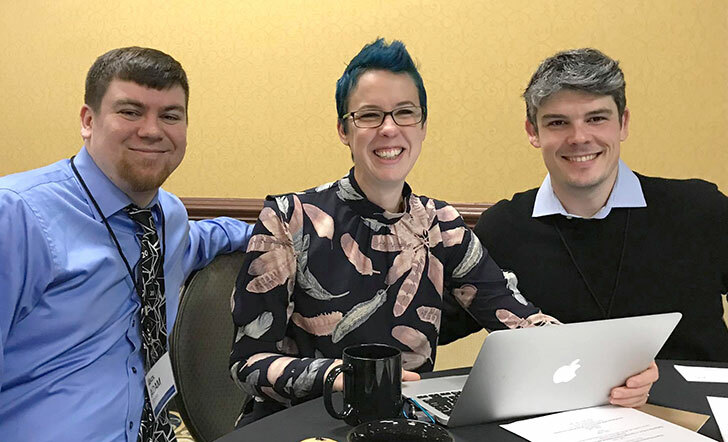 Virginia Spielmann with Adam Johns and Adam Davis (Game to Grow) at the 22nd Annual ICDL Conference. One of the most exciting aspects of this project is the prospect of changing the way traditional ‘social skills’ therapy takes place in this age group. 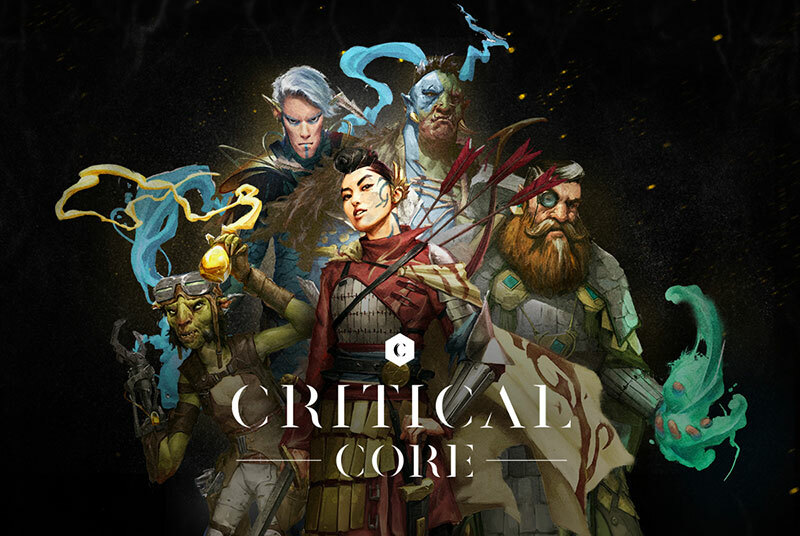 Critical Core provides a safe, fun, immersive, relationship-based experience for players and enables players to discover how to enjoy one another, connect, and relate. There is great potential here to change the landscape of services for youth, but they absolutely cannot do it without your help. Critical Core will be launched on Kickstarter, with proceeds going towards producing the game kits and funding educational materials and programs. Please head to https://www.criticalcore.org to find out more, sign-up to the Critical Core mailing list, and help spread the word through social media.